Yuval Zommer graduated from the Royal College of Art with an M.A. in illustration and pursued a successful career in advertising before returning to his true love of children's literature. Following the release of his debut picture book, The Big Blue Thing On The Hill, Yuval hasn't looked back. The Street Beneath My Feet, Yuval's first title for words & pictures, in collaboration with author Charlotte Guillain, was shortlisted for the UKLA Book Awards 2018 and named an ALSC Notable Children’s Book 2018 in the All Ages category, as well as being selected by the Guardian as one of 15 ‘modern classics’. 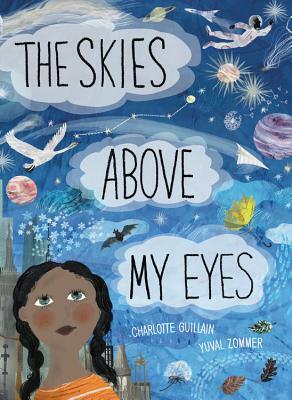 Yuval and Charlotte’s follow-up title, The Skies Above My Eyes, continues with the innovative concertina format of their first book, this time looking up at the sky and universe above us. He lives and works in London, UK.